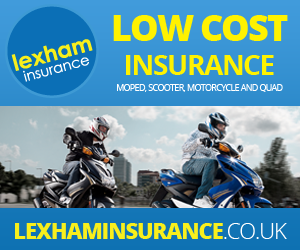 With the government recently announcing a total ban on the sale of petrol-driven vehicles from 2040 onwards, we thought this would be a good time to take a closer look at the environmental and economical advantages you can unlock when choosing an electric motorbike, electric bike or electric moped as your primary mode of transport. Electric vehicles help you to substantially reduce your carbon footprint and general impact on the environment. If everybody in the world drove an E-Rider instead of a car, the health of the population and living quality would experience a dramatic improvement. By utilising electricity, a renewable energy source, an E-Rider does not release any of the harmful gases into the atmosphere that a petrol-driven vehicle would, allowing you to drive for as far and as long as you want with a clear conscious, knowing you aren’t harming the environment in any way. When you purchase an E-Rider, you can escape ever-increasing fuel prices and in doing so welcome a much cheaper method of transport. To put it into figures, one study concluded that if everybody in the UK living less than five miles from their place of work used an electric bike instead of a car, commuters would save a collective £3.7 billion a year – pretty amazing! On top of that, some of our models have a range of up to 100km off a single charge, which only takes between four and six hours – so charge your battery up overnight and cruise to your heart’s content. Many people choose not to ride a bike to avoid steep hills and challenging journeys, but an E-Rider takes all of these problems out of the equation, enabling you to complete your journey effortlessly, cheaper and in an eco-friendly way. On top of that, electric bikes are a great way to get outdoors and get some exercise – they’re also pretty fun too!